His brother has thrown himself under the eight o’clock freight train, or so he’s been told. Felix is heartbroken, mystified, and above all else: deeply suspicious. His gut screams foul play. 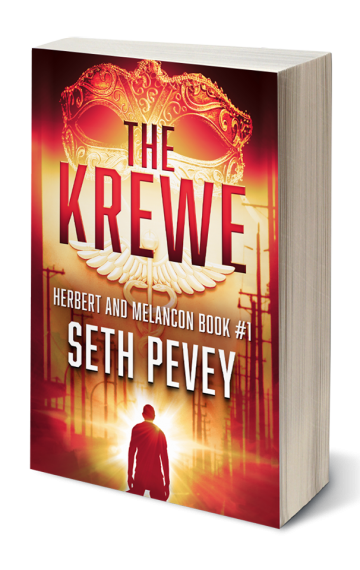 The black sheep of a wealthy, respected family in New Orleans, Felix knows his gut is untested, naïve, addled by drugs and self-doubt. Who will believe him? Should he even trust himself? As the Mardi Gras season descends on the city, Felix will have to find a way. His purpose is, for once, very clear. Find out who, or what, caused Robert to die in such heinous circumstances, no matter what it takes. But there are shadowy forces at work. As he gets in over his head, he’ll need the help of a garrulous police detective, the family’s ancient butler, and a massive pork fortune, all in order to fight his way to the bottom of things. Will he live up to the family name and avenge his big brother? Find out in part one of a hard-boiled detective series set in the Big Easy.